Accounts receivable financing seems like a great option for your company, but what if you can also qualify for a line of credit from the bank? Factoring your invoices is regularly suggested as a viable option when you cannot qualify for a line of credit from the bank. 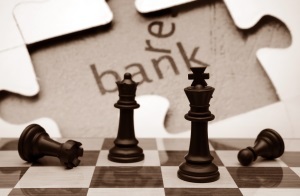 Why should a company consider factoring when they are able to secure bank funding? Utilizing a bank line of credit can work like a well-oiled machine when used with discretion. However, problems can arise if your company struggles to make payments. Interest charged on outstanding amounts will soon add up and the bank can decide to reduce the amount of money available, increase the interest rate or terminate the credit line if payment is not regularly forthcoming. Always consider the cash flow best practices for your company before committing to any loan from the bank. Invoice factoring uses your accounts receivable as collateral, which enables your company to meet its cash flow needs. Once the initial contract is signed, and invoices are verified, funding can take place in 24 hours or less. Factoring means that your funds are not limited to an amount set by the bank, but to the amount on your submitted invoices. The rate you receive is generally tied to the credit history of your customer, so while it can be easier to obtain a factoring agreement if your credit history is less than perfect, your rates may vary. The length an invoice is unpaid by your customer can also reflect a rate change from your factor. There are many advantages to factoring, but a key benefit for factoring your invoices rather than establishing a bank line of credit is that you are not adding to the debt your company carries. A bank line of credit is a debt line item on the balance sheet of your business. Putting your invoices to work is a smart and efficient way of increasing your cash flow quickly.